Soprano Sarah Payne, a native of South Florida, makes her Florida Grand Opera debut this season. 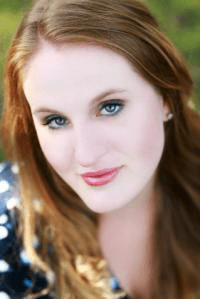 Recent roles include Anna Maurrant in Weill’s Street Scene, Poppea in Handel’s Agrippina, and The Governess in Britten’s The Turn of the Screw with FIU Opera; Contessa Almaviva in Mozart’s Le nozze di Figaro with the Miami Summer Music Festival, and First Lady in Mozart’s Die Zauberflöte with the Siena Music Festival in Italy. In 2014 she spent two weeks in Salzburg, Austria, studying with American soprano Helen Donath at the Mozarteum University, where she was named a finalist in the annual International Richard Strauss Competition. Sarah has also been named a regional finalist in the Metropolitan Opera National Council Auditions. She holds a bachelor’s degree in vocal performance from Florida International University. This season at FGO, she sings Clotilda in Bellini’s Norma and study-covers Marta in Weinberg’s The Passenger.